The app, called MyPapp, is available in both English and Spanish (http://MyPapp.info). It provides important information regarding many aspects of the Pap test so that users can access this information in a private and convenient manner. Feedback from users has been very positive. I'm currently distributing the app through health clinics and practitioners' offices. MyPapp will also be promoted at an upcoming women’s health fair. 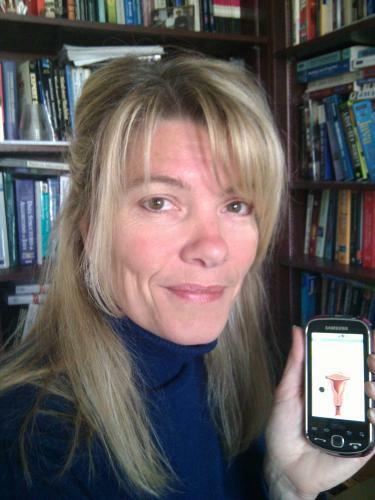 In addition, two national organizations focused on cervical cancer prevention have expressed an interest in reviewing and promoting this app. 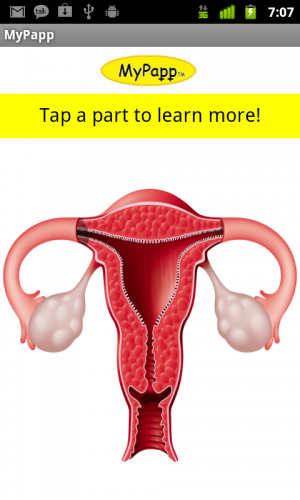 The app teaches about female anatomy and answers lots of questions about the Pap test. Pap tests are a simple yet effective way to screen women for cervical cancer. Despite the importance of this common screening procedure, research shows that knowledge levels regarding this procedure are low and that many misconceptions regarding this test exist. Health care providers are usually a key source of information about reproductive health, yet any information regarding the Pap smear at the gynecological visit often is combined with an overload of information on contraception and STDs. In addition, many patients may feel embarrassed by their lack of knowledge and fail to ask important questions regarding various components of the gynecological exam. As a result of the explosion in mHealth technology, many patients are turning to alternate sources of information, such as their smart phone to manage their health. The power and appeal of this relatively new, interactive, convenient information source can not be underestimated; it is transforming the delivery of health education as we know it. It is critical that those seeking to access electronic reproductive health information discover information in this format that is accurate, up to date, and evidence-based should they choose to do so.